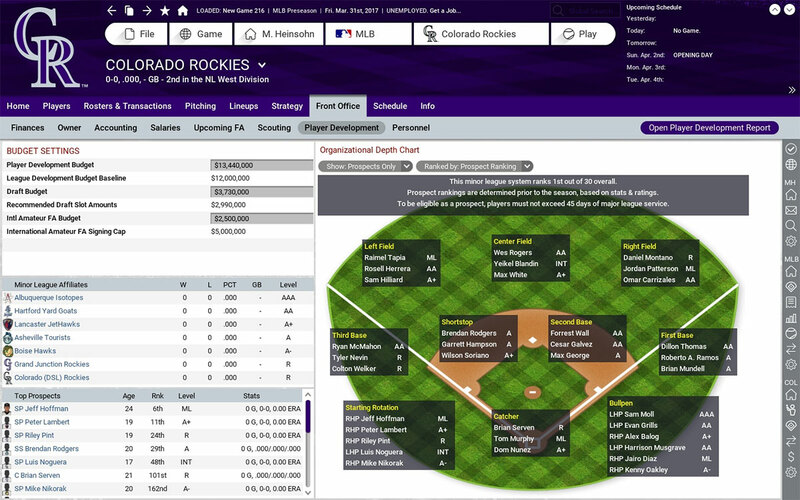 Dive into the more hands-on management and set your team’s lineups, pitching staffs, and in-game strategy. 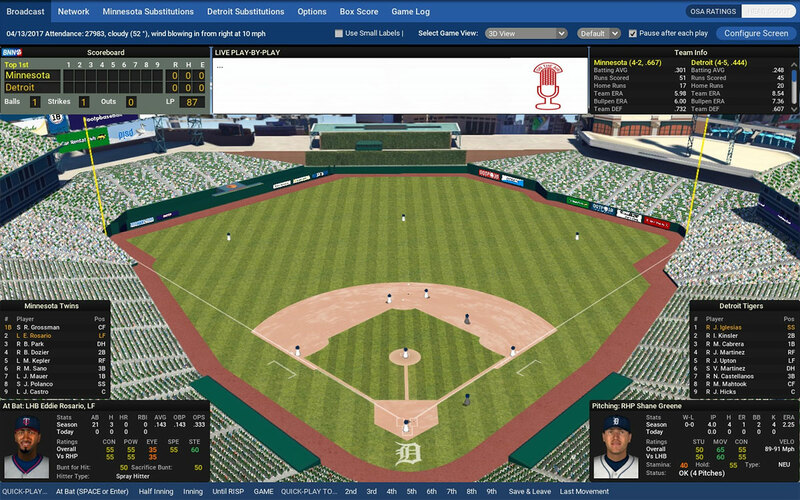 You can oversee your league at a high level, or play out each game, managing play by play or even pitch by pitch. 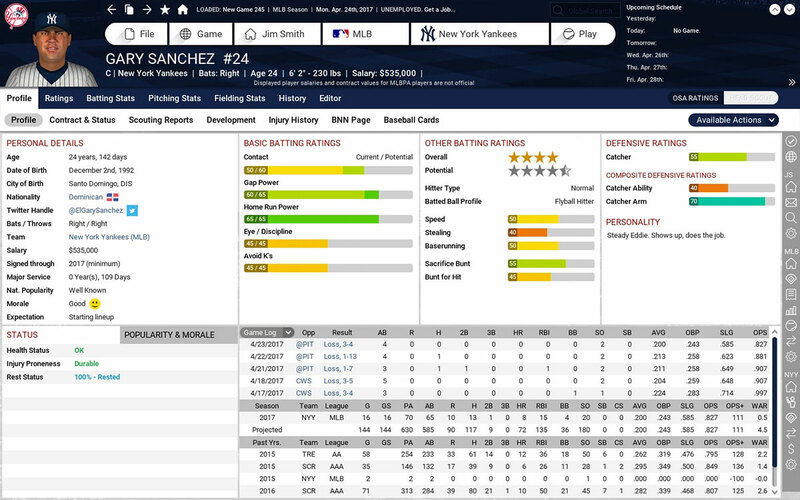 OOTP players progress realistically over time. Build a team through the draft, or sign big free agents to put you over the top!